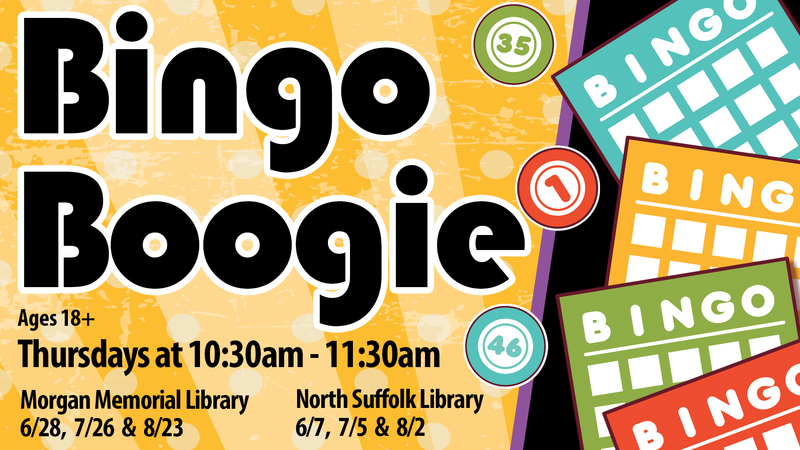 Boogie on down to the library for bingo and music! Come ready to win because there will be prizes. Light refreshments will be served. Adaptive Bingo available for patrons with developmental disabilities.